Sweet Sling Harness - a quick disconnect bow harness. 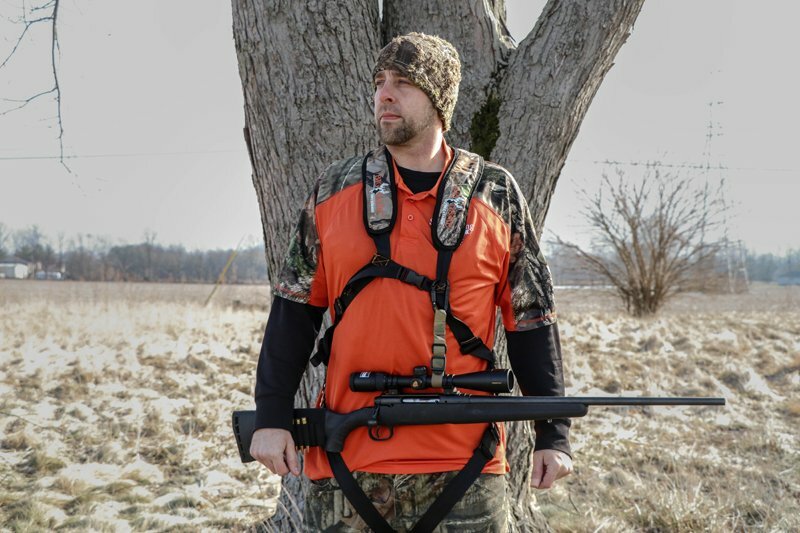 Sweet Sling Harness"Step Up Your Hunt"
Get your Sweet Sling Bow Harness here. Are you ready to "step up your hunt"? The Sweet Sling Harness I patented by Boyd Leach and licensed through Mossy Oak can help you do just that. Provides a hands free, quick disconnect harness for your bow. Clip directly to your loop, keep the arrow to be knocked at all times, high quality neoprene with slip proof grip. A patented product taking the archery world by storm. Buy one today and give it a try. Buy a Sweet Sling I - Bow Harness. * Free shipping/handling for lower 48 US states. All others shipping will be calculated at checkout. Use PayPal button below. If you prefer, you can pay via PayPal using our sweetslingharness@gmail.com email address (outside the lower 48 US states please email for shipping costs). What will sling be used for? READY TO STEP UP YOUR HUNT? Find us here at these shows.